Below are just a few of the many interests in the area. Explore the area around the Villa. Around ‘L’Etang’ discover vineyards, apple orchards, rice paddy fields and explore where figs and almonds grow plentiful in the wild. This is a great jogging, walking and cycling area, as it is virtually traffic free. 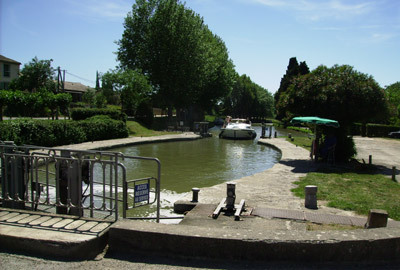 Enjoy walking or cycling along the famous Canal Du Midi towpath www.midicanal.fr taking in the villages and towns en route. On Friday afternoons, the Marseillette Cave Cooperative is open for you to sample the local wines offered at a fraction of UK prices. Since 1997, the medieval city ‘La Cite’ of Carcassonne has been designated as a World Heritage Site by UNESCO. A fairy tale city which has over 2000 years of history. Although most people head to ‘La Cite’ for its romantic spires, fortification, restaurants and chic boutiques, La Basse Ville is also worth exploring and where you'll find the French playing out their daily lives. The market square of Place Carnot with its eighteenth century fountain is a particularly enjoyable place to sit back and muse on passers-by. 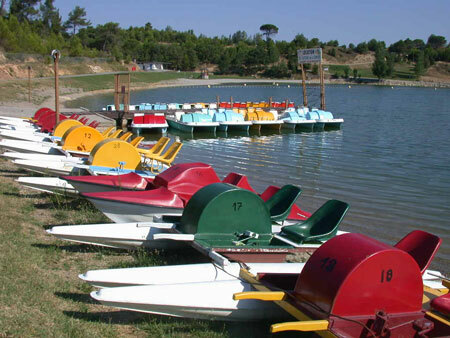 It is a short distance from the town of Carcassonne and has been made into a popular recreation area. The lake has good beaches and quiet inlets. Ducks and wildfowl are common and the area is notable for a diversity of habitats, flora and fauna. The beaches slope gently and there are well supervised bathing areas. Boats are available for rent and there are picnic areas and a crazy golf course. Discover the Canal bank restaurants, tennis courts and the bullring, where outside festivals and concerts can be enjoyed. Opportunity to take short excursions along the Canal. A village which is famous for its Abbey, Medieval houses and streets. Book and pottery fairs are held during the summer months. There are numerous restaurants and sightseeing. This is another Medieval village nestled above a gorge with an interesting history; arts; crafts and a good selection of restaurants. A charming village on the Canal du Midi with restaurants; pretty houseboats; hat museum and antique shops. Here, you can hire mountain bikes and small powerboats for leisurely short cruises. The first Roman city built in France @ 120BC, located on the Canal du Robine and home to a Medieval palace and cathedral. With picturesque canal walks; many restaurants and an interesting indoor market called ‘Les Halles’ which is open every day, selling fresh fish, meat, fruit, cheese and local produce. From Narbonne, take the tourist train to Bize Minervois. http://bize-minervois.com/the-village-2/ a pretty village on the River Cesse. Enjoy river swimming in the summer. Explore the olive oil producer Coopérative l'Oulibo with guided tours of the production and shop.